Opoku Amponsah possesses vast experience and expertise in Civil Litigation and Arbitration, Company Law and Company Secretarial Practice, Family Law, Commercial Law and Corporate Law Practice. He has over the past years been a key member of Fugar & Companympany team that advised many companies including Teberebie Goldfields Limited, TV3, SGS Ghana Limited, Barclays Bank Ghana Ltd, Marriot Hotel International, International Finance Corporation and African Development Bank. He holds a Bachelor of Laws (L.LB) from the University of Ghana and a Barrister-at-Law (BL) Certificate from the Ghana Law School. He is a member of the Ghana Bar Association. 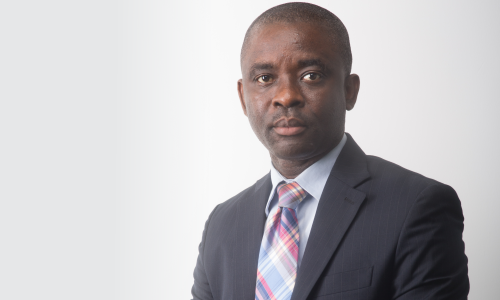 He has since 1998 actively engaged in legal practice in Ghana and possesses a host of experience and expertise in Civil Litigation, Company Law, Family Law, Commercial Law and Corporate Law Practice. He has over the past years been a key member of Fugar & Company team that advised a number of companies including Teberebie Goldfields Limited, TV3, SGS Ghana Limited, Barclays Bank Ghana Ltd, Marriot Hotel International, International Finance Corporation and African Development Bank. Key member of Fugar & Company team advising a number of companies including AEL Mining Services Ltd, China Shandong International Ghana Ltd, Mantrac Ghana Ltd, Japan International Corporation Agency (JICA), Panalpina Ghana Ltd, Plan Ghana, GT Bank Ghana Ltd, Access Bank Ghana Ltd, United Bank for Africa, Toyota Ghana Ltd, Olam Cocoa, First Atlantic Bank Ltd. He has for many years acted as the key legal adviser to the Methodist University College Ghana, Ayrton Drug Manufacturing Ltd – a leading pharmaceutical company in Ghana, Persol Systems Ltd – a leading software development Company in Ghana and Cypress Invesments Ltd, a leading company in the construction of luxury residential properties. He is currently a member of the Ethical Review Committee of RAMSRI of The Ghana Atomic Energy Commission, and the Company Secretary for Ayrton Drug Manufacturing Ltd and Persol Systems Ltd.